We in the Management and Business Academy strongly believe that the main factors that contribute to any organisation’s creation, differentiation and success are organisational culture and innovation. Therefore, the ultimate goal of the MBAcademy is to inspire and support researchers and practitioners in business and management not only nationally, but internationally. The MBAcademy would like to provide facilities for researchers and practitioners to collaborate internationally and also to be a hub for academic and management discussion, information gathering and consultation. The MBAcademy’s main purpose is to support different ranges of activity including setting up academic conferences, journal publication, and educational and management consultancy to inspire researchers and managers around the world to contribute to practice by creating new theoretical frameworks in organisational studies and the social sciences. You can book for future conferences by applying for a place. 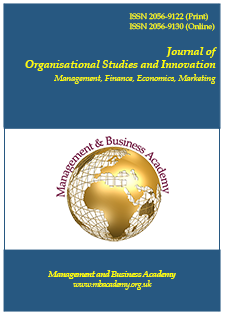 Vol 3, Issue 4 of JOSI is now Available online Monday, 06 March 2017 You can now down load Vol 3 issue 4 of JOSI online, We are now accepting papers for 2017 issues.